Logitech is a world famous company, it produces a lot of popular computer peripherals such as Keyboards, mouse, headsets and speakers. After Windows 10 was released, Logitech also updated many hardware drivers to be compatible with Windows 10 system, this will decrease many devices incompatibility with Windows 10 system after users upgrade their system to Windows 10 from the previous system. Recommended: No drivers for Windows 10? Here's the solution you need: How to install Windows 7, 8 Drivers on Windows 10.. There are three main ways below you can do to help download and update Logitech device drivers for Windows 10 64 bit and 32 bit. The best way should be automatically download and install the driver. This way will be good for all people. Professional and expert can save time to find and download driver, the novice can solve their problems more easily and fast. So using Driver Doctor will be the best recommendation. Driver Doctor will detect hardware (graphic, keyboard, mouse, etc), verify hardware driver version, and show which drivers are missing, outdated and have errors, and then help you update them to the latest Windows 10 version. also you can get it from the Driver Doctor home page. Click the big "Scan Now" button to start scan your hardware. And there is a tiny line word remind you the function of this button. This is a very humane design. In the scan now process, Driver Doctor will scan hardware driver information, including driver name, driver provider, current driver released date, and current driver version, etc. Then it will compare with the database if there is a new version driver or missing drivers. Click "Get Drivers" to enter the next step. Click the "Download" button one by one to download single driver, and click "Download All" to download all drivers one time. Tips: The unplugged devices remind you that you are using this device in the computer, and you can update driver for the device even if it is not connected with the computer now. Click the "Install" button after you download one driver. This installation is one-click install. Do not need to follow the step by step. This way will be a little complex and takes some time. It need you to download the drivers from Logitech official site and then install it by yourself. Here I will use the Logitech Wireless Combo MK270 as an example. If you need another language, please find the language choice box at the bottom. In search support, choose the "Downloads" options from the drop-down box. This can help you find accurate results. The download results mainly include drivers download, fireware download, manual file download, etc. Input "wireless combo mk270" or "combo mk270" in the search box, and click "Search" image icon or press the "Enter" key on your keyboard. From the above image, you can see the drivers download link list. Click the text link or click the "More" button to enter drivers download page. In this page, Logitech website had already detected your system. The MK270 driver file is SetPoint file, and you can click the "Detail" text link to view the driver detail information. It includes the SetPoint files, software version, release date, support system and file size. Choose the right bit version to download. If you do not know how to select, select the full installer. Click "Download" button, it will start downloading the driver. If you do not want to use the above two ways, you can try to use Windows automatically update drivers. It can also help you automatically update your hardware drivers easily and fast. Although this function isn't good enough. Sometimes, after you follow this way to update drivers, you will find the automatically updated driver is not the latest version. 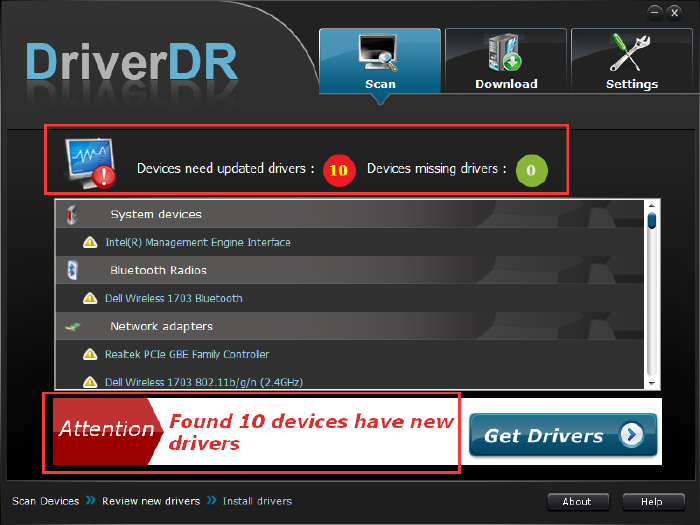 Click here to view full guideline about Windows Automatically update drivers article. Summary:: Logitech devices mostly had more functions than the basic devices. So after you find logitech released new version driver or you upgrade system to Windows 10, check if there is a new version driver, if yes, choose one of the three ways to update it. This will help you enjoy your game and entertainment perfectly.